I’m excited to be on Redwings Horse Sanctuary Stand at The Horse of The Year Show at the NEC in Birmingham this week. I have gifts and fun stories just for you! On 9th, 10th, 11th October, stop by and say g’day. 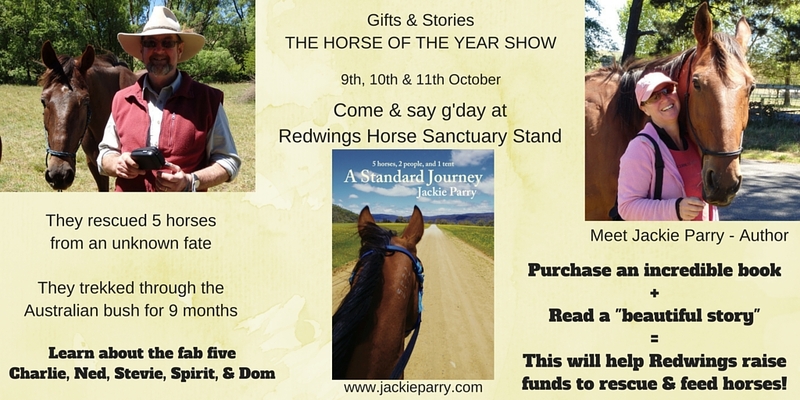 Read an excerpt from my book that is helping Redwings to raise money for their rescued horses. If you like the book you can purchase a paperback or an ebook. You get a great story that will stay with you forever, and with that you help a wonderful charity! Categories: Blog | Tags: author, best-seller, charity, fun, Horses, HOYS, raising money, riding, stories, The Horse of the Year Show, trail riding, writing | Permalink. Fabulous stories to make you laugh! 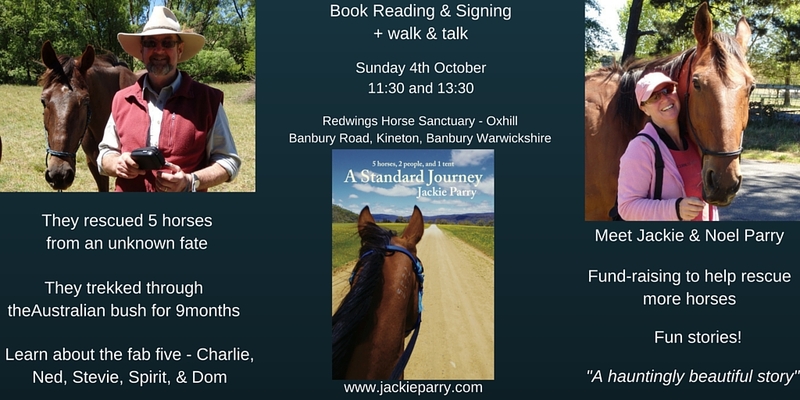 Sunday 4th October at Redwings Charity – Oxhill – Come and meet us! 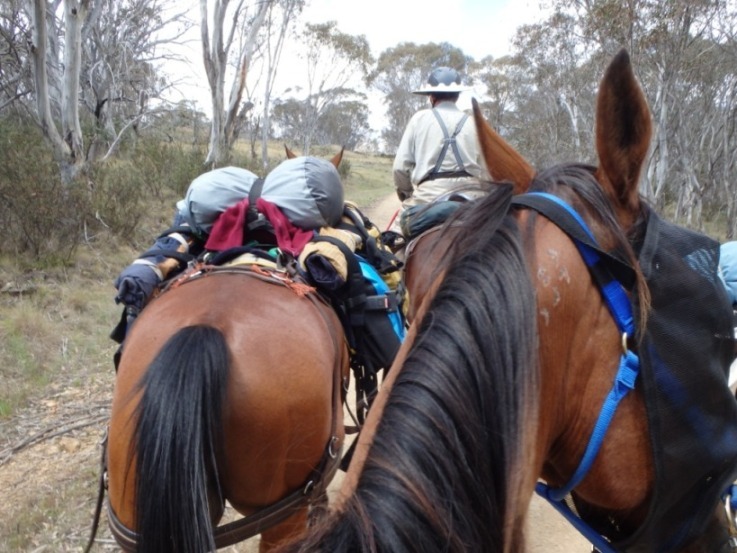 We adopted five Standardbred Horses and set off into the Australian bush. Redwings Oxhill in Warwickshire is part of Redwings Horse Sanctuary and is home to almost 90 rescued horses, ponies, donkeys and mules. This quality assured visitor attraction has a café, gift shop and children’s play area on site and entry is free of charge. 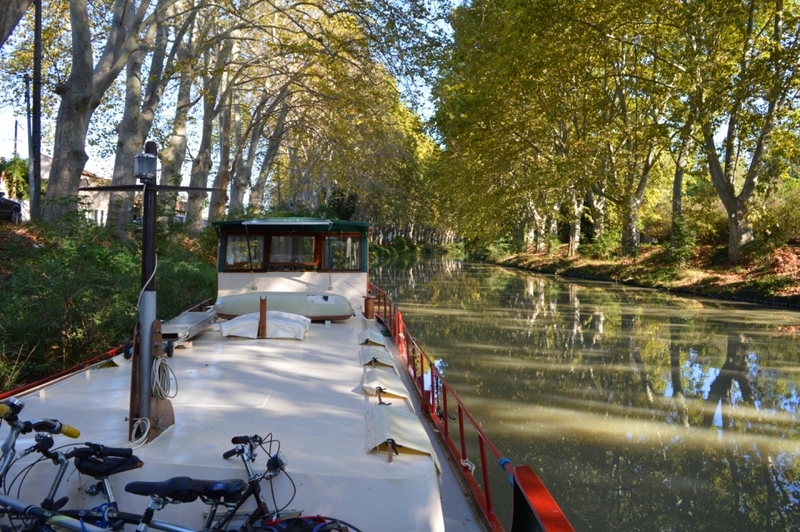 It is open every day until the end of November from 10am to 4pm. The centre can be found 10 miles south of Stratford upon Avon on the A422. Categories: Blog | Tags: best-selling book, charity, fundraising, Horses, love of horses, reading signing, riding, trail riding, trekking | Permalink. Let me transport you into the Australian bush…. 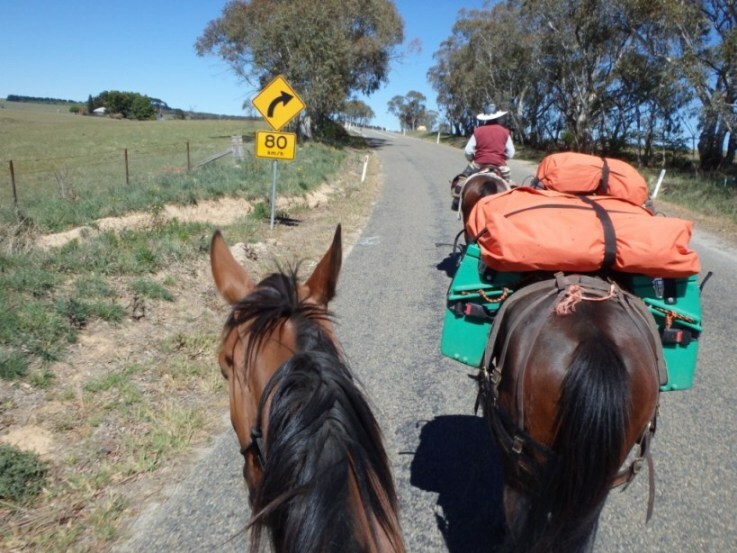 There’s only Noel and I and five huge horses!….. We did have a tent too! 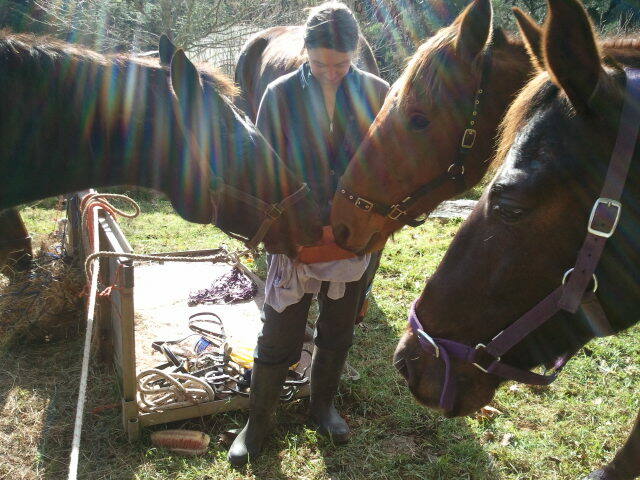 Here’s our story of our adopted horses, trail riding for three months without support and a woman who questions her life while she falls in love with horses all over again. NO – YOU don’t pay more. I donate to charity from my earnings! The paperback book contains colour pictures and links into another world, but here’s the full photo album here: https://jackieparry.com/photo-album/ – meet the real stars of the story. Please share – together let’s make a difference! 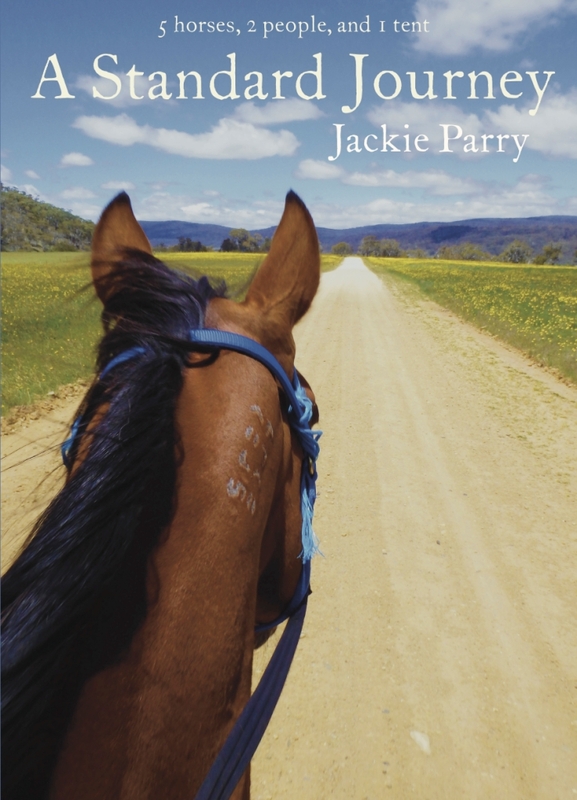 Categories: On the hoof | Tags: 99 cents, 99 pence, Australia, bargain books, books, countdown, freedom, Horses, kindle, promotion, riding, riding horses, trail riding, trekking | Permalink. Saddle up and hold on! You won’t feel the pain at all – not like we did. Allow me to transport you into the Australian bush. You’ll feel no pain, but you will experience ours. The paperback book contains colour pictures, but here’s the full photo album for everyone to enjoy. Meet the real stars of the story. I will donate 50% of all profits to help rescue more horses. So please share these words with anyone who enjoys reading about ordinary people achieving truly extraordinary things – any animal lovers, or adventurers too. From 22nd July – 27th July you can purchase the ebook – A Standard Journey for 99 cents / pence (USA/UK) – what more could you ask for? Categories: On the hoof | Tags: 99 cents, 99 pence, bargain book, book promotion, charity, countdown, donations, Horses, KDP select, kindle, riding, save horses, SPPHA, trail riding, travel, trekking, true story, women travel | Permalink.